Ok Limbo is tough. Real tough. And if you don’t like spider’s, then you will find it even harder! Limbo has a HUGE spider, arachnophobia sufferers will NOT like this game, WARNING! Apart from the spider, making it through this summer of arcade hit is still mad difficult, so I’m posting up a few walkthrough’s. Here are a few of my antics in Limbo so far, more are coming, check back here and on my Youtube page for more as I upload them. Above : This is an easy achievement, Wrong Way, just go left as soon as the game starts! Simples. Above : Here you need to go backwards to go forwards, drag the crate back to the trees! Above : Taking out the spider is tough, and scary! The trick is to get the spider to bang the ground a couple of times, this drops the bare trap, go back for it, push it towards the spider and do some damage! Watch and learn spider slayers. Above : Part 2 of the water puzzle. Above : More water puzzles, the trick is not to let too much water through! Above : Children who play with glass houses, erm, what is the saying? Above : Go left first, and watch your head. For a full detailed step by step walkthrough, checkout DIYgamer’s guide. Game Room has launched today on both Xbox Live and Games for Windows Live. The idea is you fill your virtual ‘Game Room’ with oldskool arcades, reminisce the arcade era, invite your friends over to play together (online), set challenges and have fun like it was the 80’s, but from the comfort of your actual real world game room/basement/office. So no stepping in chewing gum or wasting coin after coin of your pocket money? Wrong, apart from the not stepping in chewing gum bit. Yes you still have to pay, for each arcade, and to be honest, nearly 20 years on, these games are just not as fun as they used to be. In fact its hard to remember why these games were fun back then, I guess we are so spoilt with today’s photo realistic graphics and rag-doll physics that we forget how far things have moved on. You can try before you buy of course, a quick demo on a few of the titles available at today’s launch and boredom struck me. These games are just too basic. So I began to wander around my arcade and started adding themes and placing decor, which I should add, nets you some free gamescore. Further boredom struck, so I decided to fire up Game Room on the PC and the Xbox simultaneously for some side by side PC vs Xbox comparisons. Check out my YouTube Video below. 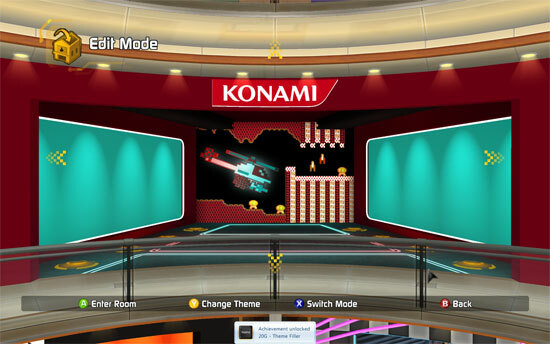 The first thing I was impressed with was the fact that across both platforms, my Game Room was identical. No separate settings or achievements list for each platform like most games that appear on both PC and Xbox (Fallout 3, Dirt 2 etc). Microsoft have made Game Room appear as one across both platforms, allowing seemless jumping from console to PC, and I’m guessing this is part of their 3 screens moto, no doubt with Windows Phone 7 Series having similar compatibility, eventually. I also noticed how much crisper and smoother Game Room was on the PC. With anti aliasing switched on, and a higher resolution over the Xbox, my Game Room looked and felt better on PC. Of course there are no such options to play with on the Xbox 360 version, the default resolution felt quite low, much lower than the 1080 my Xbox was set too. Loading times are pretty similar but the PC does have a slight advantage as expected. I also noticed some slight jerks on the Xbox when moving from arcade to arcade especially heavily active arcades. I know there have been teething problems with this launch, which might also explain why 2 achievements I gained have not been saved to my account, strange? Overall Game Room is a bit of a let down, despite Microsoft’s efforts on pulling together a cool idea which is really well implemented, especially the cross platform part. The problem is the games are just not fun, that’s not Microsoft’s fault, but the games are what we go into our Game Rooms for and now, in 2010, we have grown to expect so much more, so much so that some basic 2d sprites just dont cut it anymore. Games For Windows Live is throwing a second surprise my way this week. A free puzzle game available on the front page of the GFWL client, complete with free gamerscore! Tinker, although slightly buggy and a tad puzzling at first (ed; it is a puzzle game), this game became great fun and can easily help you lose a few hours. The idea is to navigate Tinker the robot through increasingly more difficult puzzles by turning, moving forward and pressing switches within time and power constraints. With these limited controls you can navigate the most complex of levels, melting ice blocks with lasers, detonating bombs and teleporting, all whilst taking in the view of funky surreal landscapes and a cute robot. Everyone loves robots, and since Braid, everyone loves puzzle games. I guess Microsoft put two and two together and decided to cash in on the indie puzzle genre, without cashing in, and offering it for free? Whatever the idea, this is a great game, with cute artwork and addictive gameplay. And of course did I mention you get free gamerscore with this? 200g is up for grabs, but I challenge anyone to get all of these achievements without punching a mass effect sized hole in their monitor. This game becomes painfully difficult once you pass the first couple of sets (20 levels per set) and most sane people will give up trying to get the ‘Perfection Achieved’ or ‘Mastermind’ achievement. Not quite as genre defining as Braid or a World of Goo replacement, but certainly worth a go if not for the fact that its free, but for the gamerscore, that’s also free! 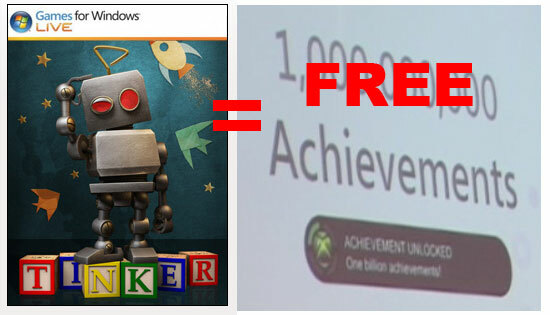 8/10 Free Gamerscore! Worth a download just for that. My first Games On Demand purchase, congratulations? erm thanks Microsoft? So I finally bought a full game from Games For Windows Live. I feel like I have betrayed Steam. I’ve been a loyal customer for a long time, check my profile if you don’t believe me. But today I tried a new PC digital distribution service, and how could I not? 75% off Batman Arkham Asylum is a HUGE leap for Microsoft at grabbing custy’s from Steam. When I first saw the news of the Batman sale I didn’t even read the small print, I went straight to my Steam client to look for the 75% off, alas it was nowhere to be seen? 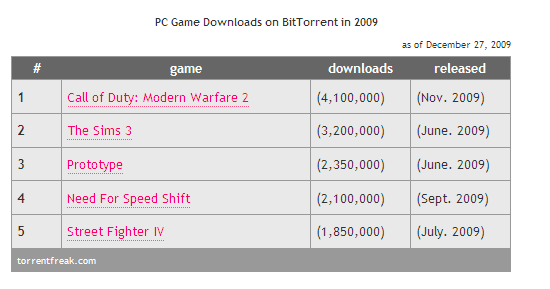 So I returned to the news article and to my disbelief it said Games For Windows Live. I loaded up my GFWL client and nothing, £39.99 normal price for the game. Not impressed. So I waited, either for Steam to retaliate with a similar price drop (still no retaliation?) or for GFWL to push out the new price tag, and 8 hours later it’s been dropped to the bargain price of £8.75. The process is very simple, my GFWL client is already setup as I have previously used it for Fallout 3 DLC and of course Xbox Live. A few clicks, the money is automatically taken from your account, and the game is added to your download queue. Simples. 4% downloaded, I guess I should start BioShock 2 whilst I wait as its been sitting in my shiny new ‘opt in beta’ Steam list since release and not been touched, Rapture is waiting. Press F to place monument not working? Try your melee key! I seem to be stumbling upon a few bugs in Mass Effect 2, and all are down to making a few changes to the standard key bindings. You can clearly tell this is an Xbox port! If you have access to the Cerberus network and have downloaded the moving ‘Normandy Crash Site’ DLC, you may be stuck like I was, laying down the monument. Despite pressing the F key multiple times, as instructed when you walk over a suitable location to drop this tribute, if you have changed your melee key, no matter how hard you hit the F key, you will get nowhere. The on screen display telling you what keys to press has always been faulty, if you change any key in the options it will display the original bind, a widely known and documented Mass Effect 2 bug. So if you do not use standard key layouts, and cannot place the monument, go to options and work out what you bound your melee key too. Simply press the melee key on your chosen location when the ‘Press F to place the monument’ message appears. Voilà. 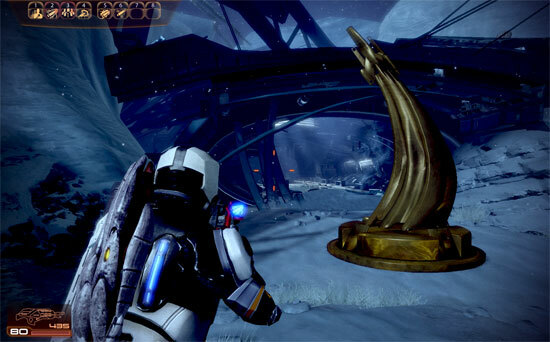 An ugly gold statue placed and mission complete, you can now return back to your ship DLC complete, once of course you do the good deed and collect all 20 dog tags. Its the honourable thing to do in this emotional DLC, a free download and a touching tribute to some charachters that you may remember from the original Mass Effect. So get searching, the dog tags are quite easy to find and would mean alot to the families of the fallen original Normandy Crew. RIP. Drawing with crayons is fun! Following in the footsteps of World Of Goo, Crayon Physics Deluxe (where is the standard version?) 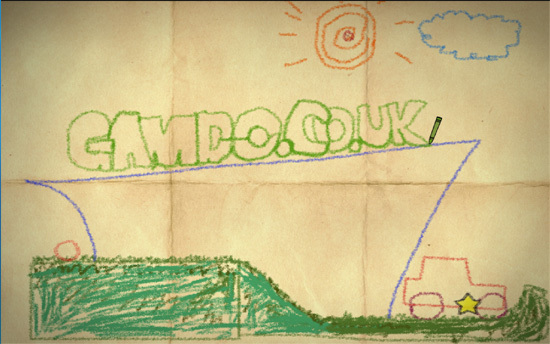 is up on a ‘Pay What You Want’ birthday deal until the 15th January 2010. Still selling for £15.99 on Steam this game can now be had for any price you feel appropriate. Just donate via paypal on the Crayon Physics homepage and you will shortly receive an email with a link to a secret download (albeit if the servers have calmed down) and a secret key, what the secret is all about I have no idea, but it made me feel important! The aim of the game is to get a ball to reach a star on each map, with nothing but your trusty crayon collection, choice of colours selectable by scrolling the mouse wheel, great touch if you are a fan of just blue or green! By drawing objects, lines, pins, hammers and strings you can reach most of these stars in less than a few minutes, but each map provides that little bit extra thought, which keeps you playing until you realise what time it is. Three and a half hours later you will find yourself where I am, on completion of the suitably titled final map ‘the end?’, you will realise you do not have the 120 stars to get to the center island. Despite spending all that time playing with crayons like an infant you need to go back and impossibly complete all the maps again with incredibly strict rules like drawing only one object, or not using any pins! Impossible you say! I agree. I managed to rack up a few extra stars replaying some basic levels with these restrictions but not enough to get that magic 120 stars. This is a great indie title, one of the best and suitably awarded Independent Games Festival Grand Prize Winner 2008. It will take you back to your youth by using crayons, which you probably have not touched since primary school. Close the doors, turn off your smart or superphone, sit back and enjoy the relaxing sound track, and be prepared to easily lose half a day playing through the entire game without getting frustrate ala World of Goo. Get this whilst it is ‘Pay What You Want’, and remember to donate generously as 1pence will no doubt cost the wonderfull developers Kloonigames more in paypal fees! Ran out of Steam - Prey sold out, no more disks left? I can understand when I want a physical product that is high in demand, sometimes it may be sold out. 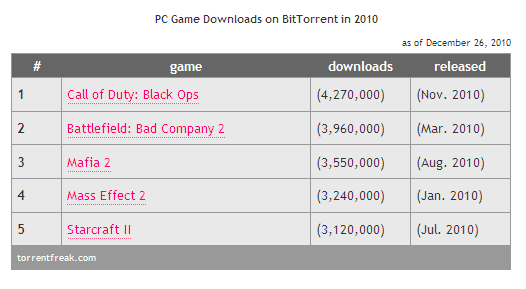 But today Steam changed the online realm by selling out of a digitally distributed product. Is that even possible you ask? According to the sale home page they ran out of keys!! Quite possible, maybe on a Call of Duty title, but Prey? Who wants to buy that game? Personally I felt like throwing up trying to play it, the floor never really was the floor, and the walls, well they never really were walls either. Still despite this major disruption in the world of digital distribution, Steam carried on the Christmas spirit by supplementing the offer with a Bioshock deal. Well done Steam.